If you follow me on Instagram, you will see that my Deer and Doe Pavot coat was finished over a week ago, and I'm only getting to take photos of it today! I'm not going to lie, this was a bit of an epic make. It was entirely my fault though for wanting to add welt pockets and a lining. The coat itself was pretty easy and quick, to make. My fabric is Cotton Twill from My Fabrics. I bought 2.5 metres, which was plenty. The only alterations I made to the fit were to take 1/4" off the lower half of the back bodice centre seam, and shorten the sleeves. I didn't change the length of the bodice at all, so would advice the rest of the sewing world to measure the bodice length and add a bit in, because no-one is a short as me! The pattern instructions are very scant, as seems to be the way with Deer and Doe patterns. It was easy to put together though, and as it is an intermediate pattern, then I suppose there is an assumption that the sewist will kind of know what they are doing! I find it bit frustrating that Deer and Doe instructions are not so comprehensive though. Maybe I've been spoiled by the wonderful, indepth, instructions on other indie patterns; but for the pattern price, I would expect a bit more. I think I'm being a bit moany though - sorry about that! I made one inseam pocket (as on the pattern) on my toile, but didn't love it. So I decided to make single welt pockets. Never again!! I'm not really pleased with them, but they could have been a lot worse. I googled "how to draft single welt pockets", and came up with absolutely nothing. I did find this youtube video on sewing them which has some measurements in it, so used it. I also found the welt pockets page on the Colette Patterns Anais sewalong very helpful. But it didn't help that I got my pocket pieces mixed up, and had to unpick everything, which took ages. I made this coat to replace an old raincoat that must be about six years old. I am sick looking at that coat, I don't like the colour, the lining is ripped and I can't be bothered to fix it; but it fits. After my welt pockets were finished, I had a look at my old coat, and it turns out that it has what I am calling faux welt pockets. 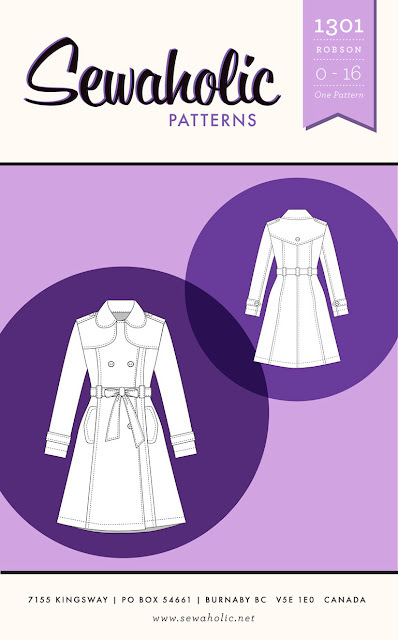 The coat front has a princess seam running from the shoulder to the hem, and the pocket is attached in the seams with the welt over the top. You can see how the pocket is within the princess seam, and the pocket flap extends out from the centre front. It looks like it's similar to the Sewaholic Robson coat. 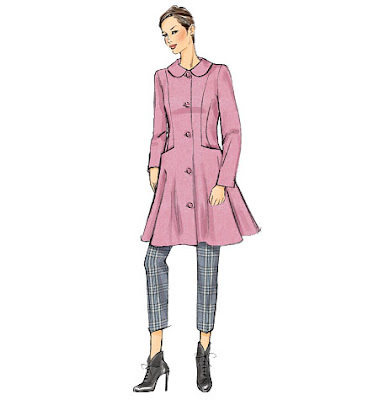 I've now fallen down a coat pattern rabbit hole, and stumbled across Vogue 9040. I love View A, and the pockets are brilliant. The pattern doesn't have a lining (why?! ), so I drafted one using this brilliant tutorial from Grainline Studios. It was really easy to follow, and draft. Cutting out the slippery lining was a bit tricky though. I had originally planned to use some red and white polyester from my stash, but then I wasn't sure if it went with the purple fabric. I asked Andrew, expecting lots of "umm, I've no idea! ", but he glanced at it for about half a second, and said "No!". He was right though, and I ordered some cream and black polka dot polyester on ebay. I've had success with using the gelatin treatment on slippery fabric, but didn't want to use it on this because it would have meant having to wash the coat after finishing it. 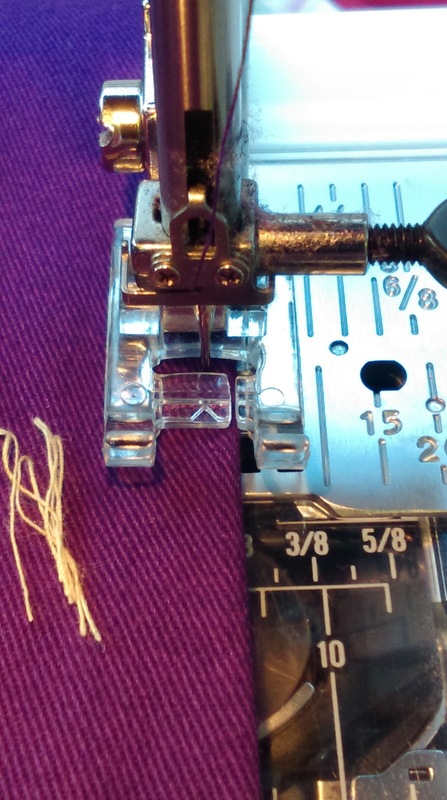 I didn't want to do that, even though the purple fabric is machine washable. I shall have to research this a bit, and if anybody has any tips for pre-treating lining fabric, please let me know! 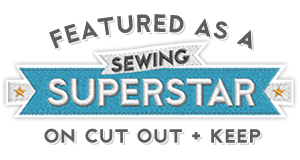 I then used this brilliant tutorial from Grainline Studios on sewing the lining together. This is the smug face of someone who lined their coat and managed to chop a bit of the photo off! My buttons are from Textile Garden (mine are the 25 mm size), and I flipping love them! I would have loved to have used horizontal buttonholes, but the placket wasn't wide enough, and a thing that I though was weird was that the button placement, and not buttonholes, were marked on the pattern. I used the edge of the satin stitch foot as a guide for the top stitching. I'm now wondering if I can use this pattern as a starting point for other coat designs, instead of having to fit another pattern. I'll definately not be doing welt pockets or bound buttonholes though!! Your coat looks fantastic, and very well made :) Love that lining! Thank you! Aren't those coat patterns tempting? 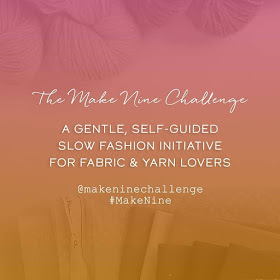 I'm holding out for a Craftsy sale for the Vogue one! You've done such a great job on this. Every time you wear it I am sure it will put a huge smile on your face. Beautiful details. Thank you! It's still hanging on the wardrobe door because I just want to look at it, and not put it away! Thank you! I'm delighted with the polka dot lining, and have loads of it left. You should definately made a coat. It would be a breeze after your gorgeous wedding dress! You coat looks great! The lining and welt pockets were definitely worth any stress they caused, they make it look so professional. And your buttons are so cute! Thank you! I re-sewed the edges of the welt pockets, and they definately look better than they did before. Gorgeous - colour, collar, lining and buttons are so lovely. I have been putting off making Pauline Alice Ninot Jacket - she does tutorials for the collar, bound buttonholes and welt pockets so I should just get to it! Thank you! Good luck with your coat. That pattern is lovely. This colour is fantastic on you! This is beautiful, those buttons are great! I made a Pavot a while ago and just underlined as it was pretty early on in my sewing experience days, I'd definitely add a lining now. I'm on the look out for a new coat pattern for something a bit more wintery but this makes me think that maybe I'll go back to the Pavot and just add a fleece underlining or something...those welt pockets look great too, very neat! I'm not keen on the in seam ones, they feel too far round your body to put your hands in comfortably if you know what I mean?! Thank you! Ugh!! Why didn't I think to underline it?! That's a great idea. And a matching binding on the inside of the seams would look brilliant. I agree with you on the inseam pockets, they were way too far around the body. lovely work - your topstitching is perfect! i just chucked my coat lining (it was a viscose so i was worried about shrinkage) in a delicate wash and preshrunk the wool in the tumble dryer with wet towels. i am planning to get it dry cleaned ongoing. Thank you! I'm delighted with how the top stitching turned out. Good luck with your coat! Absolutely gorgeous coat and you did a fantastic job, too! It looks wonderful on you! Love the color! Wow! Your coat looks amazing! Absolutely love it!!! Thank you! I have to say that making this was not as scary as I thought it would be! Beautiful!!! I love the buttons you chose. Thank you! Aren't the buttons brilliant?! Oh, thank you! That would be great. I was just thinking that I'd have to pick your brains about welt pockets the next time I see you. It's the little triangle bits that I have trouble with! I'm not sure if I'm cutting too close to the end of the stitching, or not close enough! I'll have a look at that tutorial now. Thank you! The tutorial Is brilliant, it's so easy to follow. Your coat looks fantastic, very professional. Your topstitching is perfect and I love the fun flash of polka dot lining. The welt pockets look great too - definitely worth the effort as they feel more practical for a coat (if that makes sense?!) I've been so temped by this pattern but would like to feel a bit more secure with fitting knowledge (and topstitching skill!) before attempting it. Maybe next year! Thank you! I think I've previously use my narrow zip foot as a guide for top stitching, but when I was rooting around in the foot box, I found the satin stitch foot, and it a much better job. My advice is to sew top stitching slowly. Oh my gosh it's BEAUTIFUL!!! Well done it looks fantastic!! You should be really proud! Thank you! I am very proud of it! Looks great! And I love the colour. That is some flippin' excellent topstitching too. I know what you mean about Deer and Doe pattern instructions; they are quite minimal, and they really should have linings for things! Sorry to hear you had a bad time with the welt pockets, I shall bare that in mind if I ever think I want to add them! Thank you! Aren't the instructions a bit disappointing? When I buy a pattern I feel that I am also buying the instructions too, so it's not good when they are a bit rubbish. Please don't let me put you off welt pockets, it's definately a case of user error on my part!! It's just beautiful Lynne - the colour, the lining, the buttons, the sewing! Everything! I LOVE YOUR COAT! It inspires me to finally make my red coat. Thank you! Good luck with your coat! It's gorgeous, and suits you so well! I particularly love the buttons, they're so pretty. It fits you really nicely as well, so I wouldn't blame you for using it as the basis for other coats, or for being tempted to make other coats when this one has worked so well! Thank you! I have definately fallen down a coat making hole now, and the Craftsy class was on sale a few days ago, so naturally I bought it! I haven't got the pattern yet, but I'm hoping I can fit it from the Pavot pattern.